Project manager Lynn Johnson rides an ATV with a snowplow to help clear the hail pileup by the Manitou Springs Penny Arcade on Tuesday July 24, in Manitou Springs. The town of Manitou Springs has since 2013 been battling flash flooding from the burn scar left by that year’s Waldo Canyon fire. • A defensible space check-up. • A photo inventory of your home. EAGLE COUNTY — Wildland fires and flash floods have become an uncomfortable fact of Colorado life this year. So has talk about preparing for disaster. Creating defensible space around your home is a hot topic. So is what to have handy if you’re ordered to evacuated. But a less-discussed topic is insurance coverage. Local insurance brokers say they’re fielding a few new calls from customers asking about coverage. James McGalliard, co-owner of Alpine Insurance Agency in Edwards, said he’s had a few calls. But, he added, agents and clients should have insurance plans well in place before disaster strikes. McGalliard and others stressed the need for defensible space around homes. In the case of expensive homes, insurers often require an in-person inspection. That inspection will provide a to-do list for homeowners. Sometimes, portions of that list will be required in order to obtain insurance. Then there’s the matter of living in a place that’s been identified by insurers as prone to wildfire. Homeowners living in the Eagle River Fire Protection District — which covers Eagle County from the top of Tennessee Pass to Wolcott — recently got some good news on that front. The Insurance Service Office, an agency that performs risk ratings, earlier this year dropped its risk rating for the district. District community risk manager Tracy LeClair said that reduced risk rating can help homeowners with their insurance rates. Several areas in the district — including Eagle-Vail, Cordillera and Mountain Star — have also been recognized as “FireWise” communities for efforts to reduce risk. A similar effort in Summit County paid off earlier this year, when June’s Buffalo Mountain Fire prompted evacuations, but no homes were lost. That was due to a fire-defense effort in the neighborhood. Maggie Lifland, owner of Arrow Insurance, a firm with offices in Frisco and Avon, said she has clients who live in that neighborhood. The fire break built in the neighborhood was a solid investment, she said. If wildfire strikes, then the danger changes once the fire is out. Fire-scarred land can be prone to flash flooding during sudden cloudbursts. In the Durango area, flash flooding from the burn scar created by the 416 fire has already poured mud and ash into the Animas River. 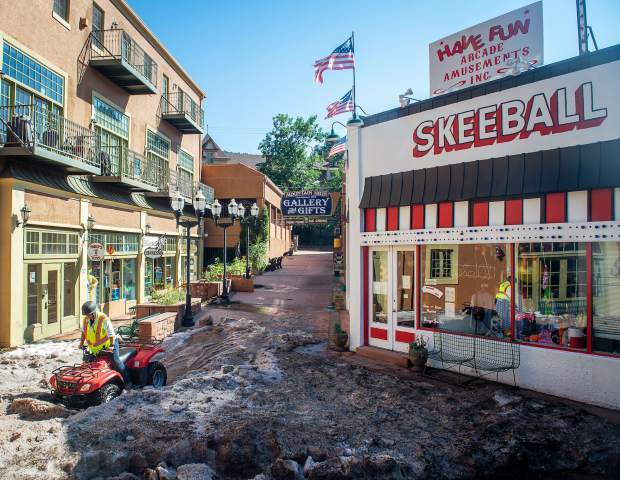 On the Front Range, the town of Manitou Springs has since 2013 been battling flash flooding from the burn scar left by that year’s Waldo Canyon fire. What that means is areas that haven’t been in designated flood zones may be susceptible to flooding. Flash flooding isn’t limited to just burn scars. 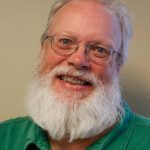 McGalliard noted that parts of East Vail flooded in 2003 when a culvert beneath Interstate 70 clogged, sending mud and debris into that neighborhood. Whether or not your home is in a designated flood area, any damage caused by flooding isn’t covered under normal homeowner’s insurance. Flood insurance is available from the Federal Emergency Management Agency. Lifland and McGalliard said private flood insurance is also available. But all those policies take at least 30 days to take effect. In cases where a home isn’t in a designated flood area — in which case, flood insurance is required to obtain a mortgage — it takes some research to determine what kind of insurance might be available, and up to a homeowner to determine if there’s enough risk to make buying a policy worth the cost. Lower risk usually comes with a lower cost for a policy. Whether that extra coverage is worth the cost is up to the individual.